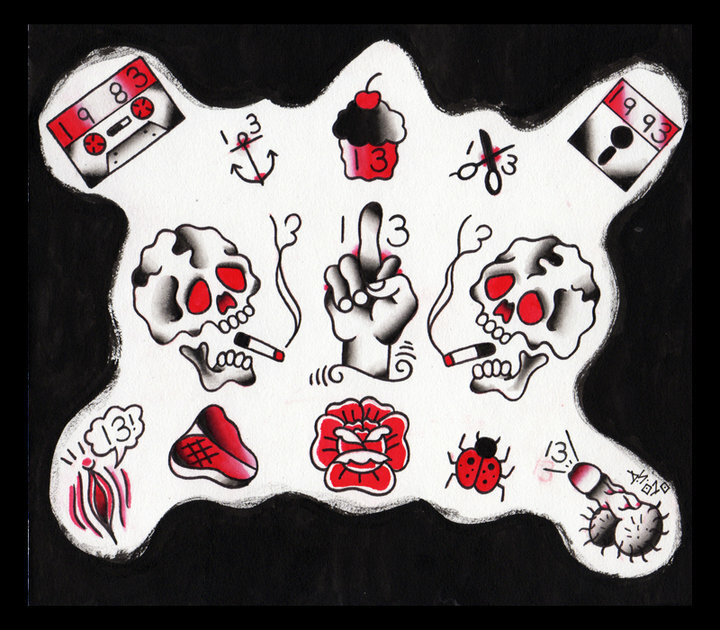 $13 Tattoos on Friday the 13th! Not sure how many of you are aware of how enamored I am with tattoos, or remember my previous post with the $3.50 tattoos back in March, but Hand of Glory Tattoo will be offering $13 tattoos on Friday the 13th ! Unlike the last time, there are some pretty decent designs available, which I would have totally branded myself with... that is if I didn't already have my next two tattoos planned out! If you end up going, send me a photo and I'll put it up on my blog! Thanks to the Print Up for sharing!